The new X5000 system is based on the Cyrus+ motherboard from A-EON Technology Ltd. It is the successor to the popular X1000 from A-EON which was based on the "Nemo" motherboard. 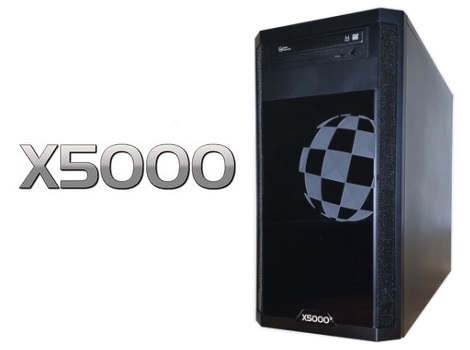 The X5000 is supplied in a black custom case (based on Fractal Design with a case front manufactured by Amiga Kit). Each system features a 1TB SATA hard disk storage and a DVDRW optical drive. Memory is 2GB as standard (configurable to more below). The system is powered by a 500W Power Supply Unit. Graphics card is a RadeonHD R7 1GB Oland or Southern Islands chipset with Enhancer Software 2D/3D drivers pre-installed on the system (this can be omitted from installation on request). 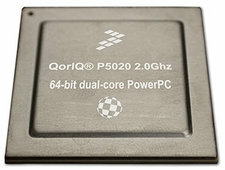 Featuring a powerful 2 Ghz Qoriq P5020 Power CPU from Freescale. 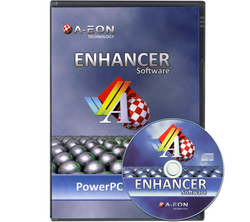 Supplied as a boxed CD at no extra cost with each motherboard is the latest Enhancer Software Plus Edition v1.4. This hugely popular software is a powerful distribution of essential software designed to unlock the power of the X5000. It is regularly updated and maintained with downloadable upgrades available from Amisphere secure update server (registration required). For users who want to have a bootable emergency backup of the Enhancer Software Plus Edition and OS 4.1 we can optionally supply at no extra charge a 4GB USB flash drive with OS 4.1 pre-installed along with the latest Enhancer Software Plus Edition. If you do not wish to run the Enhancer Software and do not require the complimentary USB flash drive, you can remove this in the configuration options below. If you are an Enhancer Software user, this ready-to-go USB flash drive is a great alternative to the standard OS 4.1 Final Edition Boot CD. This bootable USB backup drive is useful keepsafe for setting up your main hard disk for the first time or when a hard disk fails in an emergency. End User support for the Enhancer Software is provided solely by Amiga Kit™ and A-EON Technology Ltd.
OS 4.1 Final Edition licence serial key is supplied with the motherboard. The software ISO, which is supplied as a ready to burn bootable CD, is available as a digital download from Hyperion Entertainment website upon product registration. End user support and any possible future updates for OS 4.1 Final Edition software are provided solely by Hyperion Entertainment CVBA. Each system is additionally supplied with a motherboard black back plate installed and a printed Technical Reference Manual. Important Notes: Base unit supplied only (no mouse or keyboard). Local IEC power cords are not supplied. Once you place your order, please allow 15 business days for assembly, installation and quality assurance test of your system.